Subaru of America, Inc. announced that it is expanding its line of award-winning crossover-type vehicles with the all-new 2013 Subaru XV Crosstrek. The versatile, fun-to-drive Subaru XV Crosstrek, which arrives this fall, combines bold five-door design with an expanded-capability chassis, high fuel economy and everyday comfort. 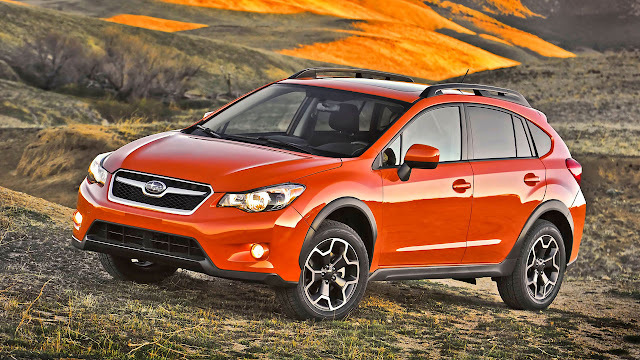 The new Subaru XV Crosstrek will debuted at the 2012 New York International Auto Show. Subaru based the new Subaru XV Crosstrek on the Impreza® platform, making significant changes to the chassis and body and configuring interior standard equipment and options specifically for this new model. All 2013 Subaru XV Crosstrek models are powered by a 148-horsepower 2.0-liter BOXER engine, teamed to Symmetrical All-Wheel Drive via a five-speed manual transmission or available second-generation Lineartronic® Continuously Variable Transmission (CVT). Subaru will offer the 2013 Subaru XV Crosstrek in Premium and Limited models, the latter adding additional luxury amenities and infotainment technology. Among the standard features in the Premium are a tilt/telescoping steering wheel with audio and Bluetooth® control switches; power windows, door locks and side mirrors; multi-function display with fuel economy information; security system with engine immobilizer; outside temperature gauge, and carpeted floormats. The standard audio system in the Premium model features Bluetooth® hands-free phone connectivity and audio streaming, Radio Data Broadcast System (RDBS), iPod® control capability, USB port, 3.5mm aux. input jack and six speakers. Standard on the Limited and available for the Premium, the All-Weather Package gives the Subaru XV Crosstrek heated front seats, heated exterior mirrors and a windshield wiper de-icer. Both the Subaru XV Crosstrek Premium and Limited offer a power moonroof and a navigation system as standalone options. The navigation system uses a 6.1-inch touch screen LCD display and integrates a rear-vision camera, voice control, iTunes® tagging, SMS text messaging capability, XM Satellite Radio® and XM NavTraffic® (both XM services require subscriptions). Updated map data can be downloaded to a personal computer and then transferred into the system via secure digital (SD) card.